Update (22. April 2010): I have made a temporary fix to the strip so that everybody can see that it’s a coonskin cap. I have to point out that Sandra is a remarkably good liar. I’d need at least 15 minutes to come up with such a clever excuse. This is the first strip with “Sandra” in its title… I was surprised myself. Sandra Woo is a fan of Sandra and Woo (original Facebook page) which I think is quite cool. Some of the comments for the last strip have crossed the line of destructive criticism which means the comment section of this strip is only open on probation. There are definitely a couple of readers who are too enthusiastic when (in their eyes) a good strip is published and too upset when a bad one is published. It’s just a comic strip, get over it and care about things that really matter. I myself don’t really get today’s XKCD, but I’m not writing a whiny post in its forum about it. <– You have to take this statement “as is” and every comment referring it will be deleted (regardless if affirmative or dismissive). Sandra: Sometimes it’s just fun to dig into your past. Sandra: … Until you uncover something that never should have seen the light of day again. Woo: Hey, what are you hiding behind your back? Sandra: … super embarrassing girly stuff that glitters in all shades of pink. Woo: Eww, don’t show. Don’t show! Noticing that the box says, “HALLOWEEN,” maybe Sandra could say that she got the hat from some sort of 50 cents plastic and recycled plastic fibers costume shop and that it was manufactured in China. A note about xkcd, sometimes the comic is just a straight forward cartoon and you have to read the mouse_over caption for (a) a continuation of thought, but I enjoy the hidden humor when the caption is (b) the punchline for which the cartoon is the preface, or (c) the ‘reveal’ after being mislead by the cartoon. Once I realized the mouse_over captions meant something on xkcd I went back and re-read them all… far too many of them started to make sense (as if several small appliance light bulbs were turned on all day). But now, back to binge-reading Sandra and Woo. 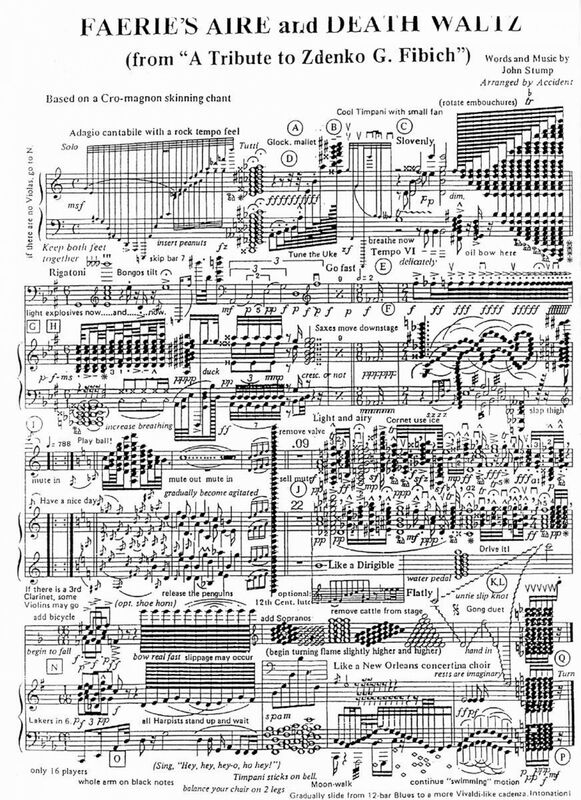 The XKCD comic could be a reference to the satirical piece of sheet music, “Faerie’s Aire and Death Waltz” by John Stump. Go to Explain XKCD #730 for an explanation of this XKCD comic. Sorry, the nested link didn’t work. Click the quote to go there. Did you block links to explainxkcd or something?